Looking for top quality Land Rover service in the Phoenix area? We have a team of qualified service technicians standing by to help you with any of your Land Rover service needs. Whether you need an oil change, tire rotation, or brake pad or transmission repairs, you can rely on our highly-trained service professionals. It doesn’t matter whether you drive a Range Rover, Range Rover Sport, Discovery Sport, or a vehicle of another make entirely — our team is capable of handling any vehicle that comes our way. After you take a look at our Land Rover service specials, make your way form Gilbert to Land Rover Chandler for your next service appointment. 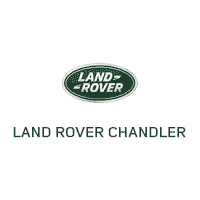 Please use the buttons below to schedule service at Land Rover Chandler or contact our Service Department. You can also call us at 855-474-1292.